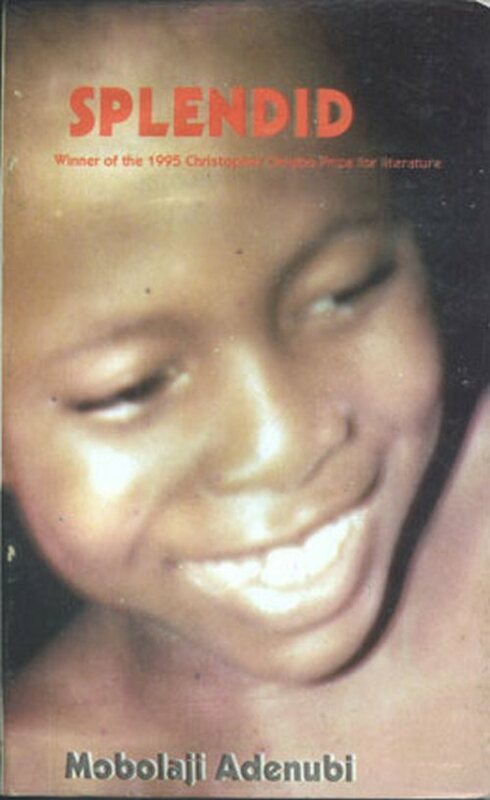 An excerpt from Mobolaji Adenubi’s SPLENDID, the story of “Wole, a very special and unique human being. He was a witty, charming, vivacious, spastic, paraplegic, hrdrocephalic and epileptic boy who lived a most courageous life” – Splendid! “S-P-LEN-D-DID,” he spluttered as his legs violently thrashed up and down in the space between the driver’s and the passenger’s seats. Yes. There I got through to him at last. As I sat holding him down tightly on my lap in the middle of the back seat, I tried to get through to his consciousness somehow. I called his names, his full names, Oyewole Olusola Oluseun John the Baptist Adenubi. There was no response. Then I called him by his pet names, “dearest”, “pet”, “daddy’s darling”, and “mummy’s sweetheart”. He acknowledged none of these. I even sang snatches of some of our play songs. He demonstrated no recognition. Then I remembered what had become a password between the two of us…”Splendid”. I now called out as a question as he was wont to say it, “Splendid?” I kept repeating “Splendid?” “Splendid?” At last he had spluttered “S-P-LEN-D-DID” in response. That was to be the last sound I heard Wole utter. The last spoken communication between us. I did not know it then. I had no cause to expect that he would not recover from this mysterious condition. Wole had passed through so much, and had survived it all. He was a survivor, and a cheerful one at that. I had no cause to expect that he would not come out of this state alive. Yet, the following day, 14 November 1986, Wole, born on 24 June 1976, was dead. The death certificate read, “primary cause – post meningitic hydrocephalus (with V. P. shunt in place). Secondary cause – venticulitis producing status epilepticus.” It put the time of death at 11: 15 a.m.
Wole was our third child, and the product of my seventh pregnancy. Our first child, Olukemi, a girl, arrived, eight years before him on 22 February 1968. Our next child, Olumuyiwa, a boy, was two years older than he was. All three of these children were delivered at the Lagos University Teaching Hospital (LUTH), Idiaraba, Lagos. I had spontaneously aborted earlier pregnancies since Kemi’s birth. By the time I had my fifth pregnancy, my English obstetrician, Professor Ursular Lister, had decided to insert a Shirodkar stitch around my cervix. This, I was informed, was to prevent the cervix from opening up prematurely, and permitting free passage to the fetus before it had reached full term. It was not known what mechanism triggered off the process that dilated the cervix and prepared it for the delivery of the fetus. It had been found that if the cervix could be artificially prevented from opening up prematurely, a pregnancy, which could have been lost, could be saved. However, a fortnight before the expected delivery date, the Shirodkar suture would have to be located and removed to enable the natural process of labour to be safely completed. Professor Lister had carefully explained this procedure to me. She had even sketched for me, on a piece of paper, what the cervix would look like after the operation. She drew vertical cuts around the cervix, in and out of which the decron tape would be passed. The two ends of the tape are then pulled together, tying the mouth of the cervix fairly tightly. A knot is then made. As the baby grows, taking up all available space in the womb, the Shirodkar knot is pushed aside, and has to be felt around for at removal time. My condition was labeled “incompetent cervix”, a concept that seemed not to be fully understood by even the doctors, but a condition for which they sought a remedy. While I was in my last year as a graduate student at Stanford University in 1972, a young doctor at the Stanford Medical Center in California, to which I had been referred from the University Health Center for ante-natal care, had even suggested that my abortions could have been caused by overgrown fibroids. He explained how fibroids, growing on the outside of the uterine wall would push against it, preventing a growing fetus in the womb, from gaining a secure foothold on its wall. Such fetus would eventually drop off and be evacuated. I lost my fourth pregnancy at the Stanford Medical Center that year. I was admitted into LUTH with the fifth pregnancy for the Shirodkar operation early in 1973. Something went wrong with this pregnancy too because, in the twenty-sixth week I started having abdominal contractions. I was wheeled to the labour ward as an emergency case, and the Shirodkar stitch was removed. Soon after, the fetus was expelled. Although it came out alive, it was exhausted, and it soon died. In my desperation to have another child, I became pregnant soon after this loss and another Shirodkar operation was performed. This time, I was managed by the Nigerian obstetrician and cricketer, Dr. (now Prof.) Okikiolu Coker, as Professor Lister was no longer a staff in the hospital. This sixth pregnancy brought forth Master Olumuyiwa Adenubi, on 22 May 1974. For this miracle, I was hospitalized from the fourteenth week of pregnancy until he was safely born. Most of this time, I was on “complete bed rest”, which meant that I did everything lying on my back. Two student nurses gave me a bed bath in the morning. I ate all my meals just turning a little onto my side to spoon the food into my mouth, and I took medication in the same position. I emptied my bladder and bowel on my back with a bedpan pushed under me. The latter process came very infrequently, however. Kemi had been an only child for six years, a sometimes stressful experience for both child and mother. Often, when Kemi had needed a playmate, I had filled the role. But, sometimes when I was too busy to spare the time to play with her, she would become unhappy. She would demand more attention; I would get angry with her, she would cry, I would relent, feeling guilty that I was depriving her in some damaging way. I would then grudgingly sit and play with her. At such times I would do this unhappily, aware that I was neglecting something else that required my attention also. Muyiwa arrived rather late to be a real playmate to Kemi. The age gap between them was too much for that. It was to save Muyiwa from Kemi’s unfortunate experience that my husband and I decided to have another child soon after him. We hoped that this seventh pregnancy would also produce a child. It too was managed by the Shirodkar procedure. On 17 November 1975, I was admitted into LUTH for the third Shirodkar operation. Dr. Okikiolu Coker again performed it, and I was fourteen weeks pregnant. This time around I was not hospitalized for the remaining duration of the pregnancy, as I had been with Muyiwa’s pregnancy. However, I was put on a course of sedatives, to be taken three times a day, as was the case with the earlier Shirodkar treatments. I was discharged from the hospital two weeks after the surgery. Although I was encouraged to return to work, I was advised not to strain myself unnecessarily. I returned home to our second floor apartment on the University of Lagos (Unilag.) campus, where my husband, Dr. Deji Adenubi, taught Mechanical Engineering in the Engineering Department. I soon resumed duties at the National Technical Teachers’ College, where I taught Sociology of Education and Principles and Methods of Teaching Course to large classes of teacher trainees. These and other pedagogical courses they took in the Department of Education. I taught all my classes after my conditional discharge marked and returned all answer scripts to students on time. Mr. Louis Folivi, the college principal then, was sufficiently satisfied with my efforts that he did not insist that I remain at my desk in the staff room throughout the working hours. I returned home directly after teaching my classes, taking with me students’ scripts and other assignments, for necessary action. At home, I ate my meals and took my medication before resting as prescribed. My health was generally good, at this time. I went to the nearby Unilag Health Center weekly for the oil-based Primolut injection. It was rather painful, as the content of the syringe was heavier than water. It was absorbed more slowly into the body and so it had to be released slowly. I was told that this hormone supplement calmed the uterus and discouraged it from giving erratic signals that could start the labor process. I saw very few visitors at this time because I was often asleep. A dear friend, who was also then happily pregnant, called at the apartment a few times from her own apartment in the block across our road. One evening, my husband broke the sad news to me that she had lost that pregnancy. I immediately went across to be with her. We clung to each other tearfully for a long while. It was a sad event indeed. That would have been her second child had she carried the pregnancy to full term. She was never pregnant again. I continued to attend my antenatal clinic at LUTH. In late May, about a month to my delivery date, I complained to the obstetrician that my baby was moving rather too energetically, though painlessly, inside me. “It seems to be pushing for space,” I explained. It was felt and listened to, and Dr. Debola Okoisor, who was now managing my case, as Dr. Coker had gone on sabbatical leave, assured me that my baby was doing OK. A new sedative, Duvadilan, was prescribed, which I took three times a day, to reduce the vigorous activity in the uterus. This complaint continued, nevertheless. “You will have to come in on admission.” Dr. Debola Okoisor finally decided. Thenceforth, my complaints were treated with humour. The baby was certainly pushing for room as, from time to time, what looked like an elbow; a knee-cap or heel would make a bulge on the surface of my abdomen. I could hold on to these protrusions as they briefly formed. I was continuously reassured that my baby was doing well. It was certainly alive and kicking! I personally did not feel like a mere carrier. A carrier’s duty is rather impersonal. He does little else than transport a load from one point to another without influencing its content. No, this load is a part of me, very much attached to me, depending on me for sustenance. It is a brand new life within me. Although I could not say for certain when our life together began, it soon made it’s presence felt as it settled inside me. The realization was not as instant as knowing that I had been touched, and some power had gone out of me. It was rather that I was beginning to feel that another, other than myself, was sharing my power. The sharing became more competitive as our life together progressed. This new life depended on me for its continued existence, well being and growth. So we remained attached until it had become enabled to exist outside me, even If still dependent on me. As a patient in an antenatal ward, where the majority of the women there had various problems threatening their pregnancies, our conversations were dominated by our many fears. We lent each other hope and tried to assure ourselves of our eventual safe deliveries. However, earlier failures at carrying pregnancies to full term kept the sense of insecurity alive in many of us. We suffered from considerable mood swings. Our forced joviality would quickly evaporate as soon as a neighbour cried out anxiously for help. We would immediately be thrown into fearful panic depression and silence. We fed on assurances and reassurances. Fortunately, the nurses there managed to remain cheerful always, which helped us retain some confidence in our ability to carry our pregnancies to full term. My days in ward C2 were numbered. My expected delivery date was 25 June. Our daughter, Kemi, was born on 22 February, and our son, Muyiwa on 22 May. I willed this baby be born on 22 June to share that birth date with them. Indeed, I applied my entire mind to making this happen. On Tuesday 22 June, I was ready to deliver my baby. I even brought on actual contractions, which were confirmed by some nurses. The contractions were, however, never sufficiently established to warrant my being wheeled to the labour ward. I went to sleep that night rather disappointed, but in no pain. I had bragged so much about my baby arriving on my own chosen date, that both patients and nurses laughed loud and long, when on the following morning, they found me still firmly attached to my baby. I joined in their jokes to begin with, but as the day progressed, my enjoyment of them wore thin. I began to snap at whoever dared carry them any further. I was soon left alone, while I sank into a self-precipitated depression. Thursday 24 June arrived full of promise. I felt better that morning and was again bantering remarks with the other patients and the nursing staff. Since the removal of the stitch I could sit up and move around. After breakfast when I went to the toilet to empty my bladder, I felt the arrival of something besides the water. I cleaned myself gingerly and examined the tissue paper. There was some blood in the mucousy discharge. I folded up the tissue paper and wrapped it further in more tissue paper. I kept the small parcel in my dressing gown pocket and returned to my bed. By then I was beginning to have those contractions again. I privately hoped that they would be better established this time round and that my baby would soon be born. I told no one about it until my obstetrician arrived for ward round. Dr. Debola Okoisor had the curtains drawn around my bed and examined me thoroughly. “Yes, I can feel the contractions, but they are early yet,” she quietly informed me, as I had begged for secrecy over this. I could not bear to be jeered at again. “Give her some castor oil after she has taken her iron and multivitamin tablets,” she ordered the nurse before she left my bedside. She quietly wished me “good luck”. The sedatives had been discontinued after the removal of the Shirodkar stitch, a fortnight before, so I was very much awake and alert. I requested for and was given a warm bath. A very senior nursing staff, who was a friend, took me to the bathroom and kindly poured the deliciously warm water over my rotund stomach. My bulk fully filled the tub, displacing a considerable amount of water. I enjoyed this luxury and felt elated and relaxed after I had been helped from the bath into my bed. I was ready for the event! The contractions continued and were occurring at regular intervals. My sister-in-law, Tomi Adenubi, visited soon after my bath, and stayed just long enough to announce that it was her birthday. She urged me to have my baby that day, so that they would share the same birth date. When my husband arrived at visiting time, I announced, “I am about to have my baby.” I took his hand and placed his palm on my stomach. “Feel how strong the contractions are!” I continued jubilantly. The contractions were now coming so close together that I urgently begged him to inform the ward sister in her office. My bed was immediately curtained off, and I was hurriedly shaved down below. My nightdress was replaced with a white theater gown. My fellow patients were still absorbed in conversation with their visitors as I was wheeled out to the labour ward. My husband walked alongside my bed to the reception area beyond which he was not allowed to follow me. I waved happily to him, although I could see that he was worried. I was happy that I had arrived at this stage at last. This was, after all, what I had looked forward to for so long. The labour ward was very busy that evening and every cubicle were occupied. Doctors, as well as the nursing staff were busy in one or other of these cubicles. My arrival was acknowledged, and as I was not given to screaming during labour, it was assumed that my case was not too urgent. My bed was packed alongside the wall, but within sight of the labour ward matron, who was in the last cubicle. In the short period that I was there, I requested for, and received, a vomit bowl, and a bed pan, neither of which I used. The contractions were now coming really close together. I kept up a breathing exercise, taught to me nearly a decade before, by Mrs. Teresa Oke, a physiotherapist and a former classmate at St. Teresa’s College, Ibadan. That breathing exercise worked like magic! I drew in a draught of air through my nose and heaved it out through my opened mouth. The inhaled air seemed to race around the contractions, picking up some of the pain and tension, and rushing them out only to return to fetch some more until the contractions subsided. As the contractions came closer together it worked faster still. It helped my concentration as well. It kept me in touch with everything that was going on inside me. The pain! The tearing stress! The mounting breathlessness! Soon, the matron came out and wheeled me into her cubicle, which she was preparing for me all along. “Your labour is advanced,” she exclaimed on examination. The waters broke, and she called urgently for assistance. “Staff! Nurse!” None came. They were all busy with other deliveries. She managed as best she could. She gave me an injection to relieve me. “Now, listen carefully and do as I say, Mrs. Adenubi. I want you to turn onto your left side now.” I did as I was told. “Good. Now, place your right leg on my shoulder here. I proceeded to hook my right foot firmly round her neck. As I was not screaming, I was able to concentrate on everything she was doing and saying. Just at the point that I felt fully stretched. Feeling I would soon expire. There was a great rush, and my baby slid smoothly out. Just then, a wondrous sensation of utter bliss engulfed me. Difficult to put into words really. My taut muscles and aching joints felt awash with warm, healing oil. I was totally relaxed. It came naturally to me to borrow Mary’s Song of Praise right then, as I had done at my other two deliveries. Indeed, He that is mighty had done great things to me, and holy is His name!’ It was 7:35 p.m. It was only after my recitation that I requested to know about my baby. “It’s a boy!” Matron Olubi joyfully announced and held him up. Like his sister, but unlike his brother, he did not cry. He looked somewhat stiff to me. He was taken out of the cubicle for checking and cleaning. I thanked God over again that my baby had been born alive. My religious friends, Rev. Sr. Kathleen O’Reagan and other Our Lady of Apostles nuns, who paid regular visits to me in the hospital, Father Joseph Schuyler, who brought me Communion every Sunday, and Professor Rev. Olaitan, my “Sunday Sunday medicine”, had all prayed for this wonderful outcome. The good Lord has now answered all our prayers. Matron Olubi returned to deliver the placenta. “I want you to cough for me now,” she instructed as she pressed her hand on my abdomen while I lay flat on my back. I coughed. “Again. Again,” she called until the after-birth was dislodged. I was cleaned up after that. My son was brought back to me, also all cleaned up, and wrapped in a shawl. He was placed in the crook of my arm. Though exhausted, I was blissfully happy and contented. My son was whimpering now and I noticed that he was shaking ever so slightly, but continuously. As if he felt a little chill. “He is cold, Matron,” I informed as she continued to clean and put away things in the cubicle. She came over and looked at my son. “Don’t worry, Mrs. Adenubi,” she urged. “He will be all right. You see we had a little problem with him a while back. I made you stop pushing during labour because I found that he had his umbilical cord wound round his neck as he was coming out. I had to unwind that before I let you resume pushing,” she explained. His umbilical cord was recorded as 58cm long, with the remark, “very mucousy and slightly blue at birth”. His birth weight was 3.74kg and his head circumference was 35cm. It was further stated in his delivery sheet, that the first stage of labour took four hours and twenty-five minutes. The second and third stages, ten minutes each! This labour was as long then as the one that had brought Kemi into the world eight years earlier. Muyiwa’s own was much longer. My son and I had remained under observation in the labour ward for some time. We were now being prepared for the post-natal ward. A refreshing cool breeze met us as we were wheeled out. My husband and mother-in-law were waiting outside as we came out. Both looked relieved to see us. My mother had died a year and four months earlier. She too would have been a part of this welcoming party. They came with us to the ward where my son was placed in his own cot beside my bed. I waved our visitors goodnight as my son and I were settled for the night. The following day, the same doctor noted again that he was “still jittery” and he ordered a “serum magnesium test” on him. He took some blood from his heel for this purpose. The same day, he received the BCG, an anti-tuberculosis vaccine. Because I am always after second and third opinions on any medical matter, I soon engaged two paediatrician friends in conversation about my son’s jitteriness. I tried not to seem particularly worried. Nevertheless, they were rather guarded in their comments. I noted that they both, in turn, probed the back of his head and mumbled something about “a gap”. I looked on calmly, expecting them to give me some kind of explanation for it. They simply advised, “There is no need for you to worry, Bolaji. If anything is really wrong we shall soon know from the result of the blood test. If it indicates a deficiency, this will be treated. Anyway, you are looking well yourself,” and they departed. When they moved on, I too examined the base of my son’s head and found a small hollow there. Maybe it was a little unusual, but I had forgotten what that part of the anatomy felt like in my other two babies. Nonetheless, I brought up the matter with my paediatrician brother-in- law, Dr. Debola Ajasin. He explained that, “Cranial bones of infants need to have spaces between them for future growth. This is particularly so at birth, when there is need for some flexibility to allow the head to pass easily through the mother’s birth canal. After this, of course, these bones will grow in size and bulk to cover the brain and other tissues in the head, the space that you now feel, will soon be filled out,” he assured. All that sounded reasonable enough and I felt satisfied that my son was not in any danger. We were discharged from the hospital five days after delivery. The result of the blood test was still not available, but we were told that, should there be a need to hospitalize him because of the result, we would be immediately contacted. I was glad to leave the hospital again with a child. Kemi and Muyiwa were happy to see their new brother who was installed in Muyiwa’s former room. The latter moved in with Kemi in our three-bedroom apartment. Ramota, the young girl who had been looking after the other two children, now had a third to care for. Ishola, the young man, helping with the cooking and with the cleaning of the house, will also help in playing with Muyiwa, particularly when Ramota was busy with the baby. These two had been managing the household in my absence, and they had done so admirably well. They too were glad to see me the baby and me back in the family. Well-wishers called at the house to welcome the baby and to congratulate the family as news of our arrival spread. My mother-in-law even offered to move in with us for some days, but my husband discouraged this for lack of space. It was agreed, though, that she would come in the mornings to give the baby his bath. This is a privilege a grandmother always claims on such occasion. My mother had rendered the same service two years earlier in the case of Muyiwa. She came in early every morning to bathe the baby. My mother-in-law bathed the baby on the sixth and seventh days. Because the naming ceremony took place early on the morning of the eighth day, I bathed him myself before my mother-in-law arrived for the celebration. The eighth-day naming ceremony is traditional among the Yoruba, the ethnic group to which my husband and I belong. Rev. Ayo Odukoya performed the rite that has become intermixed with Christian and Muslim religious worship. Besides calling on the Almighty God to bless the new member of the family, special prayers were offered with the aid of some traditional ceremonial materials. For instance, the wrinkled skin of the bitter kola is peeled off and the nut cut into small pieces. A piece is placed on the baby’s lips, and then the mouth of the reverend gentleman, or whoever is performing the ceremony. A prayer is offered that as the bitter kola is old and wrinkled, the baby will grow to a ripe old age. Honey is also used, with the prayer that his life will be sweet. Salt, that he will be a preserver of the society’s customs and traditions, the good name of the family and its properties, and so on. Nearly as many names as the people present were given to our baby that day. My mother-in-law had earlier sent two names for our consideration. These were Oyewole and Adeboye. She was recently made the Iyalode (leader of the town’s women) of Ijebu-lgbo. Because the Yoruba also name their children according to their families’ circumstances at their birth, it was appropriate that a grandchild be named to commemorate my mother-in-law’s social honor. The ‘oye’ in both names tell of the chieftaincy title in the family. Oyewole was preferred of the two. This name and two others Olusola and Oluseun, given by members of the family and friends were selected for registration on his birth certificate and for all official records. The naming ceremony entertainment commenced from early evening in our apartment. More family members and friends called then to make merry with us and to give presents to Oyewole Olusola Oluseun. Mobolaji Adenubi, is the author of five books, namely: Splendid, Empty Arms, Tales From Times Before, Creation and Other Stories and FS The Man and His Times. A graduate of Reading University, Berkshire (UK), Swansea University, Wales (UK), and Stanford University in California, she retired from the Federal Civil Service in Nigeria to devote her time to writing short stories, biographies and novels. The pioneer president of Women Writers of Nigeria and past vice chair of the Association of Nigerian Authors, Lagos Chapter, Adenubi won the Nobel Laureate Wole Soyinka sponsored All-Africa Okigbo Prize for Literature in 1995.